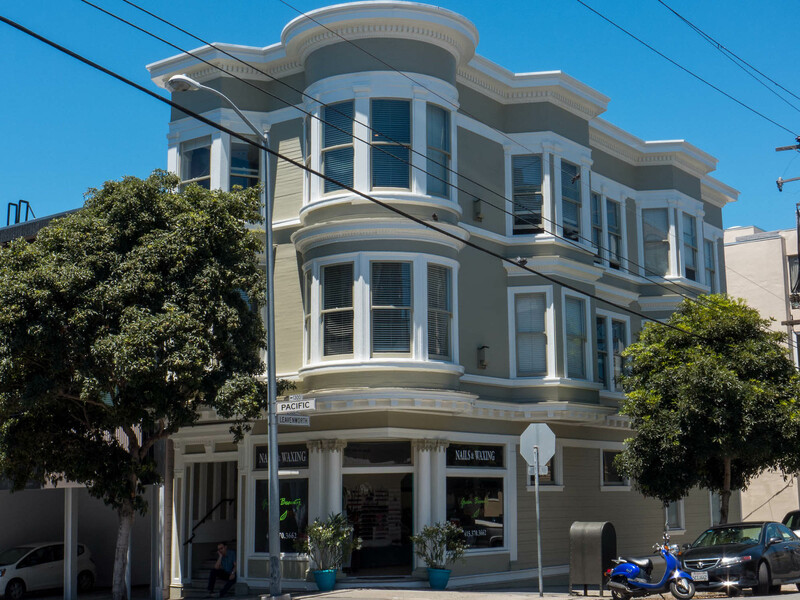 Home » Listings » 1304 Pacific Ave.
City living at its finest on Nob Hill! Classic full top floor corner condo with fantastic natural light. This quintessential home has been reimagined for modern living. Keeping its Edwardian flair, it now offers an open floor-plan, wonderful high ceilings and stunning hardwood floors. Contemporary appointments include a Viking / Bosch chef's kitchen, granite topped breakfast bar, updated baths, newer systems and 1-car parking (w/220V outlet). The shared roof deck offers panoramic views of the SF Bay, Golden Gate Bridge and Marin, as well as the TransAmerica Pyramid and the Palace of Fine Arts is a unique respite from the City just outside your door. HOA dues of $1,247.35 per Quarter includes water, refuse, fire/liability insurance, reserves and seismic retro fit fund.